If you need your computer repaired or serviced in the Campbelltown area look no further than Snoopex Computer Repairs, we are located in Campbelltown and have been servicing the area for more than 20 years. Whether it's your personal home computer or you have a small business, we can fix your computer or network related issues or set you up with a new PC or office network. Give us a call anytime on 0413 77 66 99 for a free quote! For hundreds of happy customers all around the Campbelltown area, Snoopex Computer Repairs is the place to turn to for any home or business IT needs. We cover all brands, makes and models of PCs, desktops and laptops including HP, Dell, Asus, Lenovo, Acer, Sony, Alienware, Toshiba, Samsung, And many more! At Snoopex Computer Repairs Campbelltown we also do custom built computers to any specification, so whether you're a gamer that needs high end graphics processing, a software developer that needs to be able to run a lot of memory and cpu hungry software simultaneously, or a casual user that just wants to browse the internet and use email, we can build a custom PC for you with exactly what you need and nothing you don't. Below are some examples of the recent work we've done in the Campbelltown area. A home client located in Ambarvale just off Copperfield Drive emailed me about getting a new gaming PC built for playing MMOs like World of Warcraft, Final Fantasy XIV and Guild Wars 2. He wanted to get top of the line components for all parts of the system in order to have the best performance possible with his online gaming. For an ultra fast CPU he went with the Intel Core i7 5930k Haswell-E 6-Core LGA 2011-3 3.5GHz and the motherboard is an MSI X99A Gaming 7 USB 3.1 Socket 2011-V3 ATX. The memory in the computer is 2 x Corsair Dominator Platinum 2666MHz 16GB (4x4GB) DDR4 Kit for a total of 32GB RAM, for graphics 2 x Gigabyte GeForce GTX Titan X 12GB Graphics Cards, the hard disks are 2 x Samsung 850 Pro 1TB 2.5" Solid State Drive MZ-7KE1T0BW as well as 2 x Seagate Enterprise NAS 6TB Internal 3.5" Hard Drive, 128MB Cache, 7200RPM - ST6000VN0001. For the tower the customer chose a Cooler Master Storm Trooper Windowed Mid-Tower Case - Black, and for display an ASUS ROG Swift PG348Q 34" 1440P IPS G-Sync Gaming Monitor. Windows 10 64 Bit was the operating system installed. Snoopex Computer Repairs services all areas of Campbelltown in Southwest Sydney including Ambarvale and surrounding suburbs. 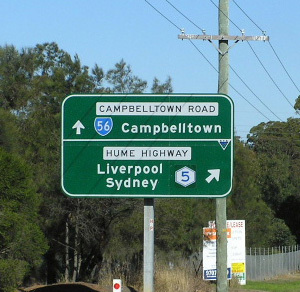 Ambarvale is a suburb of Campbelltown that sits between Englorie Park to the north, Bradbury to the East, Rosemeadow to the South and Glen Alpine to the west. It's a few minutes drive from Macarthur Square and can be reached via Appin Rd. I received an email enquiry from a customer that lives just off Queen St in Campbelltown who was looking to make his computer faster, he'd had it for a few years and it was starting to run a bit slow, especially while online gaming. He had a budget to stick to so to get the best bang for buck we kept his tower and peripherals like monitor, keyboard, mouse etc all the same. I upgraded his PC with a faster CPU, RAM and motherboard which allowed him to do everything he wanted without the computer lagging. Another good value for money option to increase computer speed is to install an SSD (Solid State Drive) as the main system (C:\) drive, this is the drive that the operating system is installed on and programs are loaded from when you click to open a program, and an SSD performs much better than a traditional HDD (Hard Disk Drive). A business located in St Andrews just off Campbelltown Road contacted me asking for a quick way to speed up their computers and make them faster. They'd only recently purchased 5 new workstations that were running pretty good CPUs and had plenty of RAM so they were confused as to why the PCs weren't performing better. After hearing the specs for the PCs I was surprised to find out that they were all running traditional hard drives rather than SSDs (solid state drives), so I recommended upgrading each with an SSD at least for the main system drive to get a good speed boost for the least amount of effort. He agreed and dropped off the computers the same afternoon to my workshop located on Durham St in Minto, just off Pembroke Road on the outskirts of Campbelltown between Leumeah and Ingleburn. After installing the SSDs in the workstations and delivering the PCs to their office in St Andrews, the customer couldn't believe how much faster the computers were running, including quicker boot up time and especially when opening and closing multiple programs that used to take several seconds each to load and now are starting up almost instantly. A lady from Pembroke Road in Minto brought in a Windows 8 laptop that was having problems with popup windows constantly appearing saying that she had viruses on her computer and to remove them she had to enter her credit card details. Luckily she didn't fall for the phishing scam and brought her laptop to me instead. She was referred by a friend in Campbelltown who I'd previously fixed a similar issue for, i.e. removing viruses and recovering data on a Windows 7 desktop. Her friend gave her the right advice which is to never trust anything that appears in a popup window out of nowhere on your screen because it's likely to be a virus or malware that has infected the PC. The best thing to do is take it to a qualified computer repair technician to fix the issue. After running virus scanning and malware scanning software it turned out that there were over 3500 infections or possible threats on the laptop, I removed all of the threats and installed an up to date virus scanner to help prevent any more viruses in future. I dropped the laptop back off to the customer's house just down the road from Sarah Redfern High School not far from Minto Mall and showed her how the virus scanner software worked and how she could scan downloaded files, movies or anything from attached USB sticks before running them to make sure the files were safe. I was contacted by one of the residents at IRT retirement community in Macarthur who was having problems accessing family tree data that she had put together using software from ancestry.com. She explained that after updating the software to the latest version she was no longer able to access her family tree and that reverting back to the original version wasn't working either. I picked up her computer from the IRT seniors community on Hyde Parade in Campbelltown and took it back to my workshop, after a bit of trouble shooting I was able to get the latest version of ancestry software installed and working correctly, I also recovered all of the family tree data so nothing was lost. The customer was very happy that all the time she'd spent building the family tree hadn't gone to waste. A small business located near Narellan Rd in Mount Annan contacted me after being referred by a friend that I'd upgraded a PC for previously (Windows XP to Windows 7). The business ran a small network of 6 Windows XP machines and was interested in upgrading to Windows 10 after having put it off for the last few years. Within a couple of days over a weekend I went through each of the PCs in the network and first installed Windows 7 and then followed the standard upgrade path to Windows 10. I then re-installed all the software required by the business and reconnected them to the local network. In the process of upgrading the operating systems I also upgraded the CPUs and added extra RAM to speed up the main computers used for the day to day running of the business. I had a call from a customer in Macarthur who asked me to look at an Asus UX21 Ultrabook laptop computer that had been written off by another supplier due to accidental damage. The laptop owner wanted to double check with a second opinion as they weren't convinced that the computer was beyond repair. I was able to identify several faulty components that were replaceable including the keyboard. After I'd replaced the faulty parts the laptop was fully operational and as good as new. The ultrabook was returned to an extremely happy customer as the repair cost was only $200, instead of the replacement cost of $1200 offered by the original supplier. I received an enquiry from a customer located just off Pembroke Road in Leumeah who wanted to setup a wireless network at home, mainly so they could access their ADSL internet connection from any of their devices (phones, tablets and PCs) rather than using mobile 3G/4G data while at home, and also for streaming movies from their main computer to their smart TV. I set them up with a new Netgear Nighthawk WiFi ADSL/VDSL Modem Router which has extremely fast wifi speed (up to 1.9gbps) for smooth video streaming from the computer to their TV. After installing and configuring the wireless network, I secured the WLAN with a password chosen by the client and guided them through the process of connecting to the network from any device. We then connected all of their iPhones, iPads, computer and smart TV to the network and tested that all of the devices had internet access.